Luxury mens grooming goes hand in hand with Magneto – the highest quality grooming set for men made in Germany from premium stainless steel. With 7 professional manicure and pedicure tools SHARPtec, this set is ideal for all round nail care of mens toenails and fingernails. 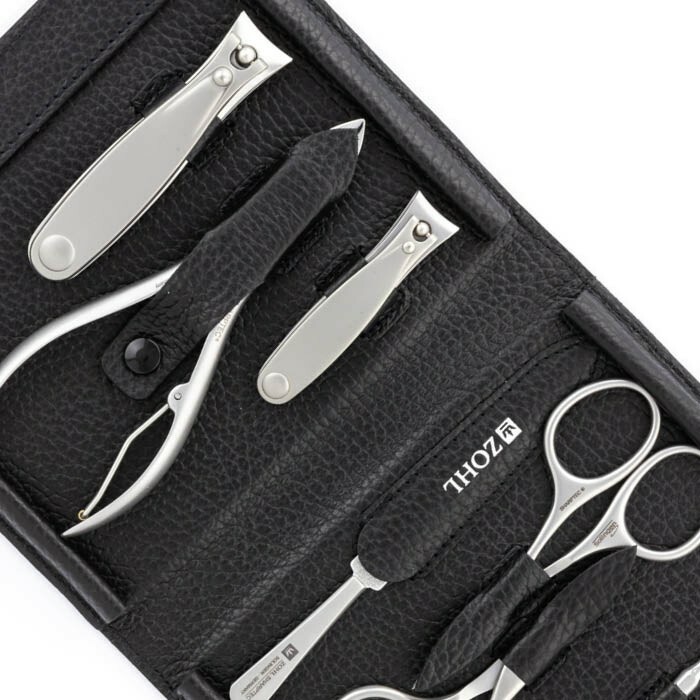 Sharptec is ZOHL's trademark of the best nail clippers, scissors and other manicure instruments designed to last decades without any need of re-sharpening. 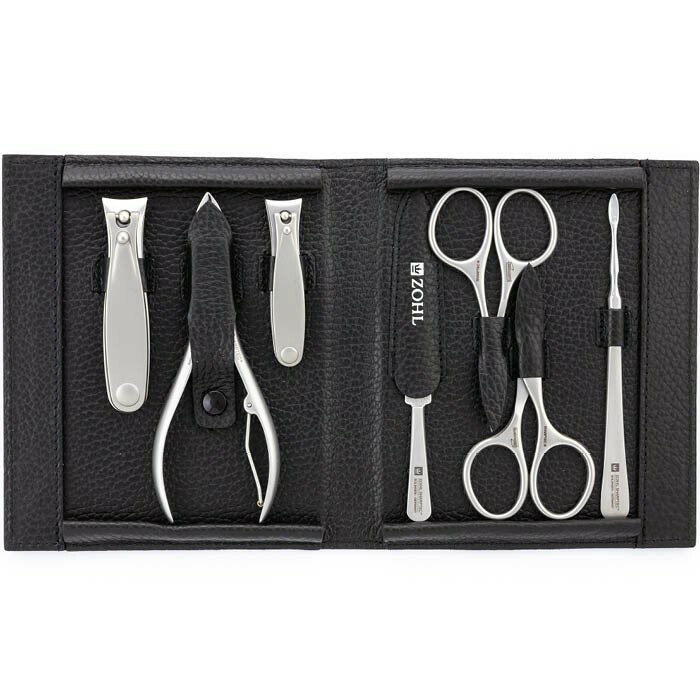 Included in this set are small and large ZOHL nail clippers, 2 pairs of professional manicure scissors for nails and cuticles, nail file, nail cleaner and pedicure nipper for thick toenails. 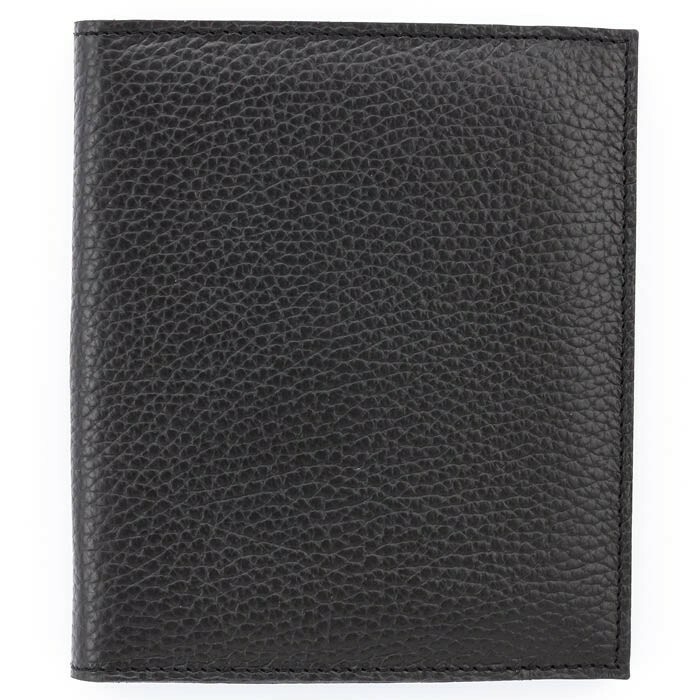 Handsome presentation in the luxury magnetic leather case makes it the ultimate grooming kit for every man who likes the best grooming tools while being his best. 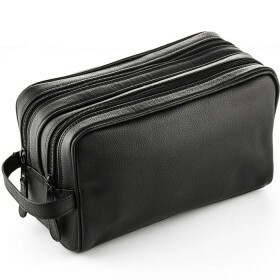 ZOHL's Magneto is a high quality mens manicure set made in Solingen with 100% authentic German nail instruments for complete nail care. 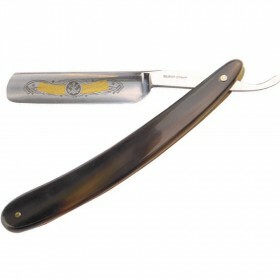 Solingen craftsmanship is carefully protected by the German Government because it stands for absolute top quality cutlery and guarantees long lasting sharpness and precision of the cutting edge. 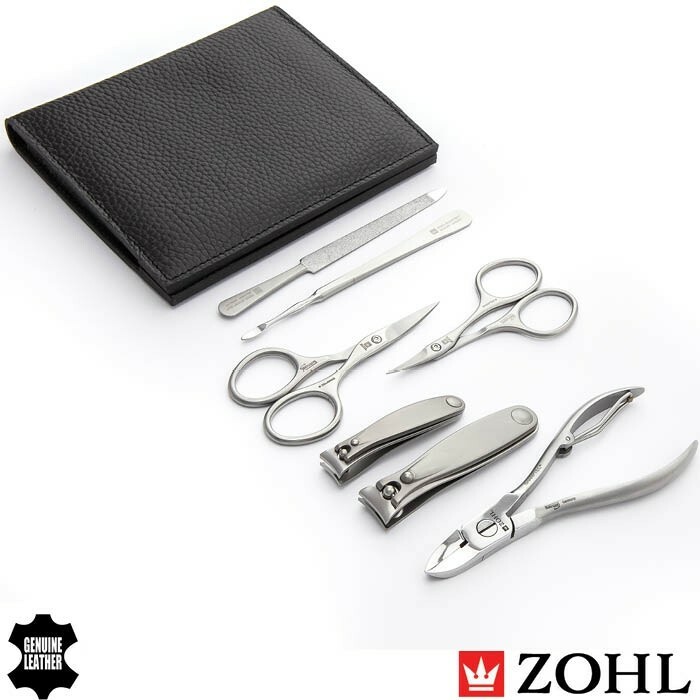 By buying this Solingen manicure set by ZOHL, you make a smart investment into the best nail instruments that will delight with immaculate nail trimming and durability. 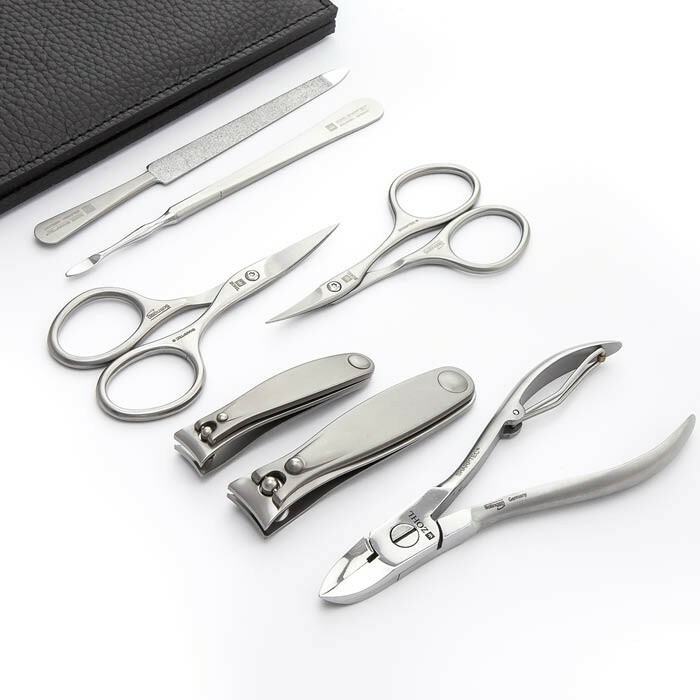 The Magneto includes 7 stainless steel nail instruments for manicure and pedicure made of very strong grade surgical steel. Special forging ensures the steel preserves maximum amount of carbon responsible for the hardness of the steel. And the harder the steel, the longer the blades will stay sharp. Like all SHARPtec nail tools by ZOHL, the instruments in this set are sharpened to perfection and trim nails smoothly, with a clean and easy cut. 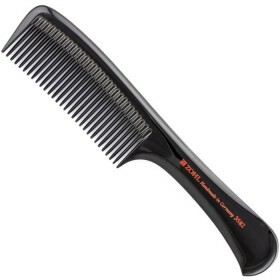 More importantly, they stay sharp through many years of regular use without any need of sharpening, thanks to very hard steel. 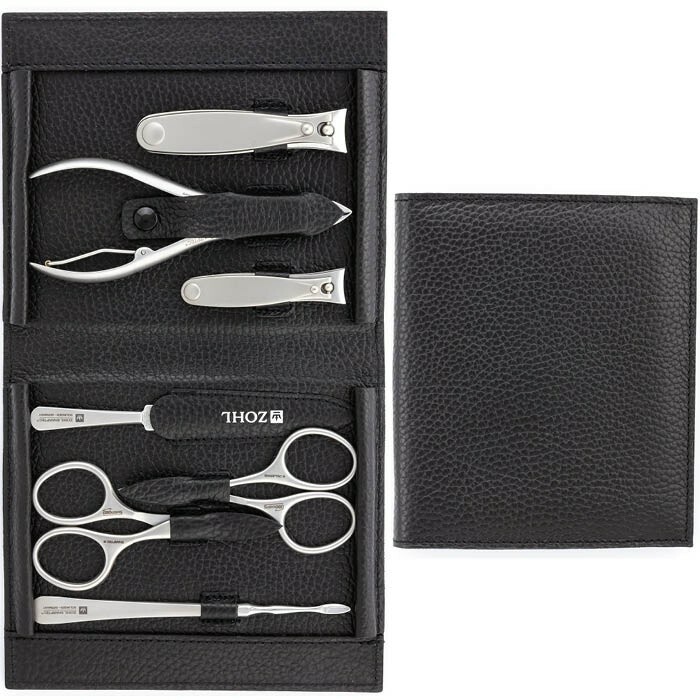 So be assured that this ZOHL manicure set will will give you long lasting and reliable service. 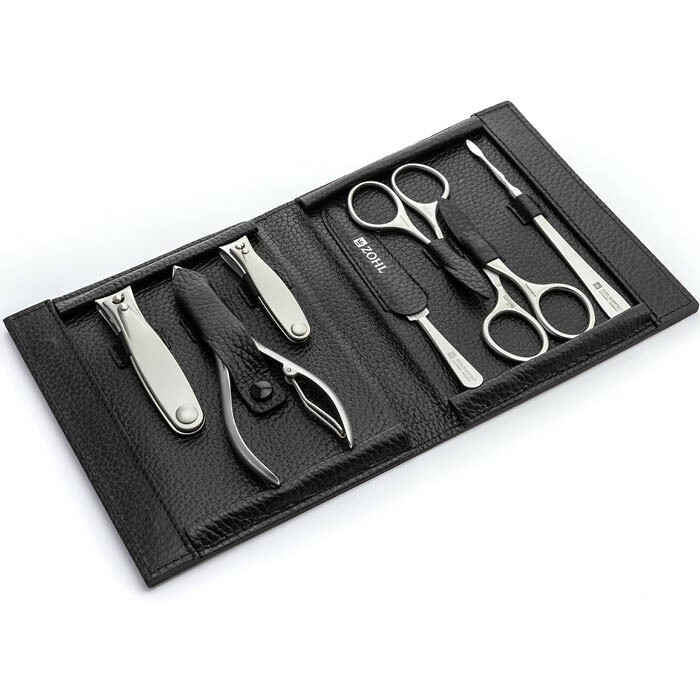 In addition to the highest quality and most wonderful nail care instruments, the set comes in the luxurious black leather case lined with pebble cowhide inside and outside. 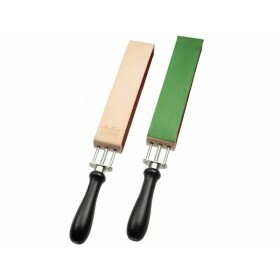 Magnetic closure firmly secures the tools and highlights premium quality of the manicure and pedicure instruments. Complete with mens favourite nail care instruments, the Magneto is the ultimate gift for a man who needs strong and reliable tools to keep his fingers and toes in tip top shape.